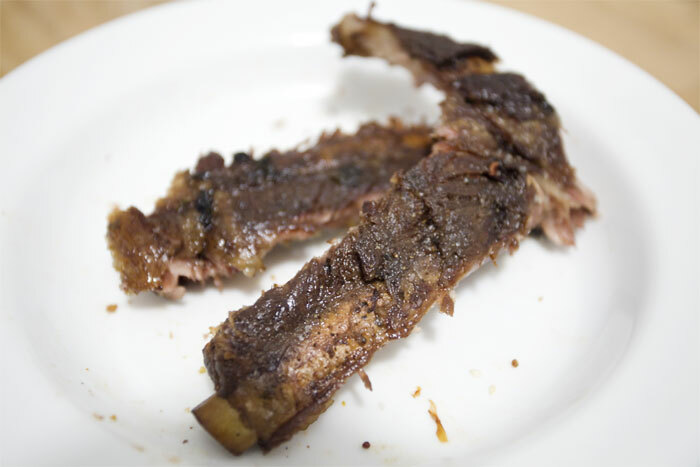 I saved the ribs that came with the 9lb pork belly I bought for our 2 year party so that I could use it later. This is probably not the way to cook ribs but I first boiled it then roasted it in the oven. The liquid that I used to boil the ribs in was tea! and star anise. Yes tea. Think it was 2 cups of tea and 8 star anise. Boiled it for about an hour. Then I took the ribs out placed it in the roasting tray, seasoned it and cooked it in the oven at 350 degrees for an hour then cranked it up to 500 degrees.